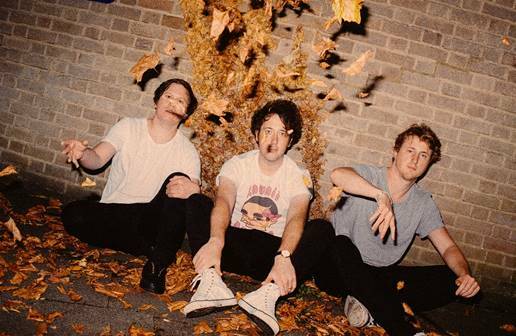 The Wombats, an English band hailing from Liverpool, enters 2018 with new music and a new tour that includes a stop in Atlanta. "Beautiful People Will Ruin Your Life," is The Wombats' fourth studio album. It's scheduled for release. Feb. 9, and features a lead single that is quickly racking up the views on YouTube. "Lemon To A Knife Fight" tells of the push-pull roller coaster of a toxic relationship’s euphoria and desperation with the band’s signature animation and wit. The song has over 130,000 views since its release in November. Wombats frontman Matthew "Murph" Murphy described the new single and album as a "bit more laid back" than the band's previous releases. “I wanted to make something that wasn’t punching you in the face every time you listen to it," Murphy said. "Beautiful People Will Ruin Your Life" is the product of several long distance writing sessions. Drummer Dan Haggis and bassist Tord Øverland Knudsen contributed lyrics from London and Oslo. Murphy added his bars from Los Angeles. The result is an 11-track record with a newfound maturity and moving emotional depth. “On every level, musically and interpersonally, we’re much closer," Matthew Murphy said of the trio. Atlanta will have its first chance to hear The Wombats' new album, Jan. 16, at Center Stage theatre. The concert will feature performances from Blaenavon and Courtship. Tickets are available now through Ticketmaster.